The stats are in! The Scottish Wedding Census reveals the true cost of a wedding in Scotland - D.C. Thomson & Co. Ltd.
Glasgow, Scotland 11th January 2017 – Scottish Wedding Directory has today announced the results of The Scottish Wedding Census 2016. 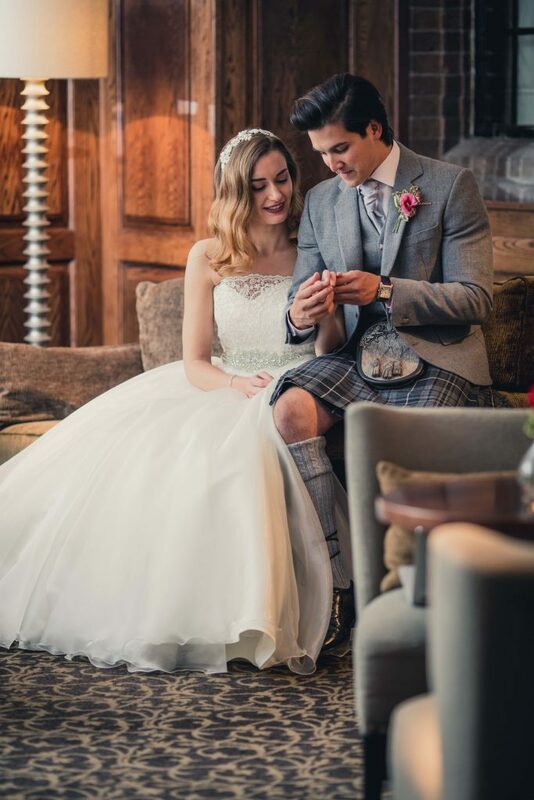 In its third year, the Scottish Wedding Census is annually commissioned by DC Thomson publication, Scottish Wedding Directory, to give an in-depth insight into the trends and spends of the Scottish wedding industry. Among the results from over 1,900 bride and groom respondents, it was found the average cost of a Scottish wedding in 2015/16 came in at £29,904. The census found 74% of couples made a budget for their big day, with 53% managing to stick to their financial plan and 8% coming in under their set budget. Within their budget was the bride’s dress, with the average Scottish bride-to-be splashing out £1,389 on her dream gown. For the I Do’s, humanist ceremonies overtook the popularity of religious ceremonies in 2016 for the first time in Scottish wedding history, reflected in the census stats with 38% humanist to 33% religious ceremonies. More information on the Scottish Wedding Census is available in the Winter 2017 issue of Scottish Wedding Directory, on sale now (£4.95).